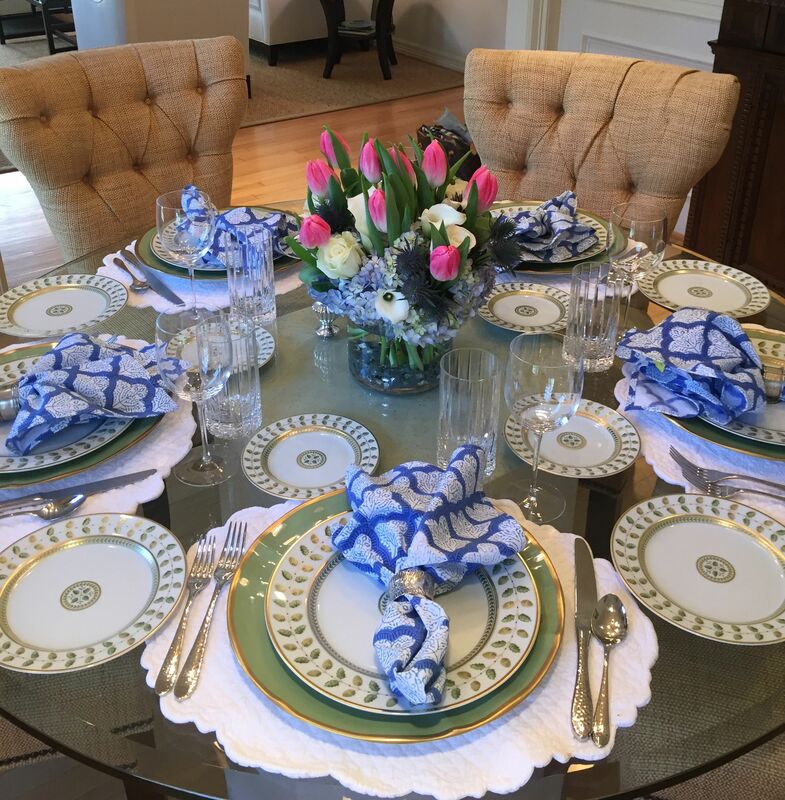 We recently hosted our family for dinner, and so I wanted to make the evening extra special by using our fine china and crystal. I found some darling blue and white print napkins at Roberta Roller Rabbit, and then used a stunning floral arrangement of hydrangea, tulips and thistle (thanks mom!) as the centerpiece. I think the combination of white, green, blue and pink is fresh and bright, and perfect for the season. I hope this post gives you some inspiration for your next dinner party! Your skill and talent only growns with the days. Miss seeing you but love following you.